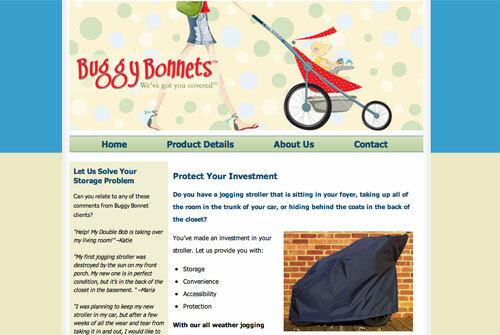 Buggy Bonnets is a small business that makes premium stroller covers. 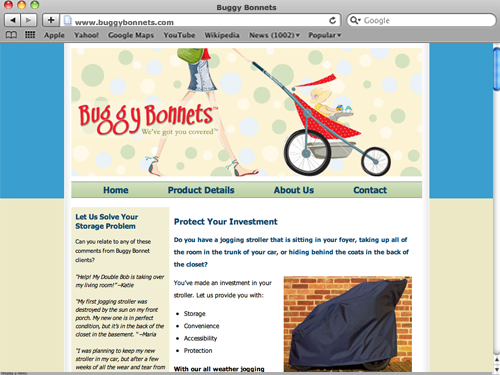 The Buggy Bonnets site uses WordPress 2.9.2 and utilizes the now built-in Sidebar Widgets. This custom theme hooks up seamlessly with Etsy for easy e-commerce. Etsy inventory is displayed on the site and automatically updated.